Nothing is known about this artist’s place of birth or training although it is thought that he may have spent part of his period of apprenticeship in Holland. Mälesskircher lived and worked in the city of Munich, where he is documented from the mid-15th century. He was a highly esteemed painter who achieved a prominent social position and became a leading representative of the guild of Saint Luke. In 1482 Mälesskircher was a member of the city council of Munich and in 1485 became the deputy Burgomaster. Mälesskircher ran a studio that produced a large number of works and that was managed after his death by his son Caspar. Among the artists working there was Michael Wolgemut. Mälesskircher’s style combines influences of the Munich school with a pronounced narrative sense and a high degree of realism, evident in his interest in the depiction of everyday objects. His drawn line was strong and pronounced without detracting from the extreme subtlety and delicacy of his compositions. Mälesskircher’s most important work is the series of thirteen altarpieces commissioned by the Benedictine monastery in Tegernsee. These dated and fully documented paintings are now divided between various collections. Among them is one of the Virgin of 1473 and another of the four Evangelists of 1478, some of whose panels are now in the Museo Thyssen-Bornemisza collection, Madrid. Mälesskircher also worked for the monasteries at Raitenhaslach and Rottenbuch. 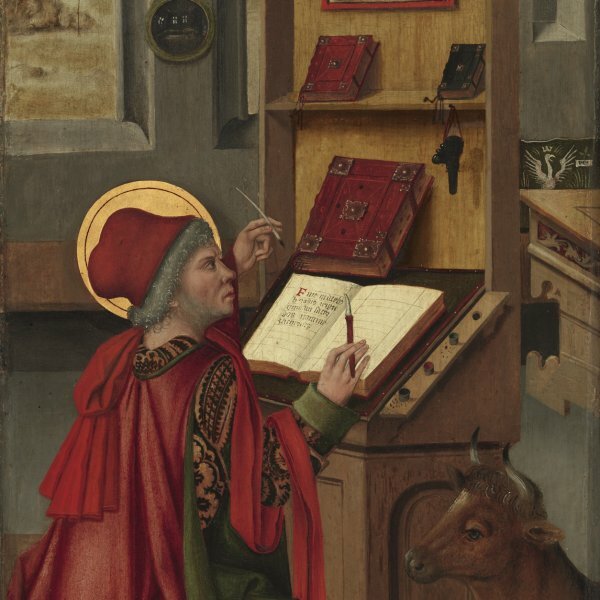 Among other works attributed to him is Saint Christopher and Saint Onophrius (Schäfer Collection, Schweinfurt). He died in an outbreak of the plague in 1495.